Sua Maak Jong (Fruit and Vegetable Salad) and Tam Maak Kuay (Green Banana Salad) for lunch in Vientiane, Laos. Aunt Kian made the fruit and vegetable salad while Aunt Phone made the green banana salad. 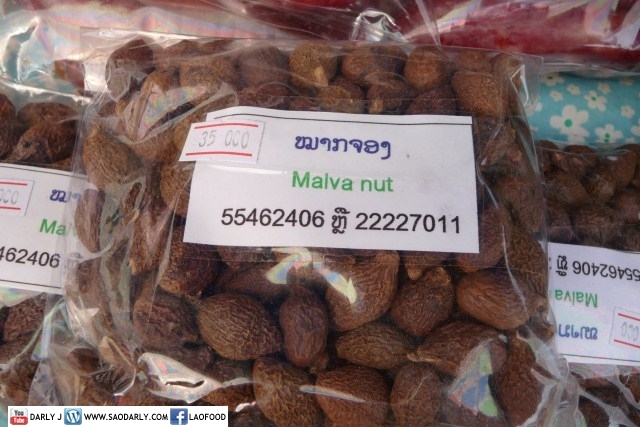 This is what Maak Jong (Malva nut) looks like as a dried food. It is then soak in water until soften before cooking. 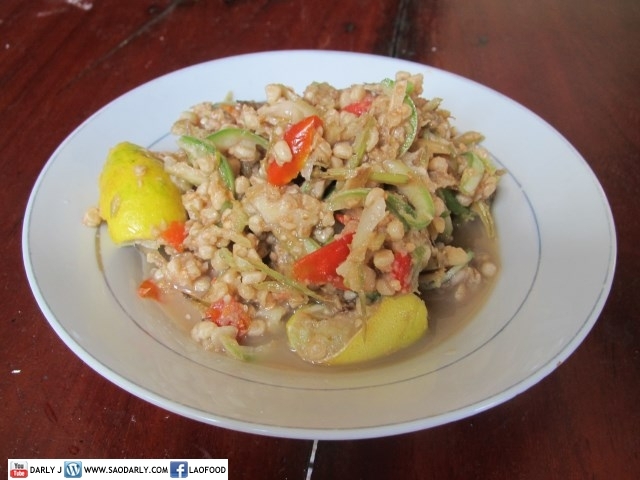 According to Aunt Kian, Maak Jong is a type of fruit that is grown only in Champasak Province of Laos. 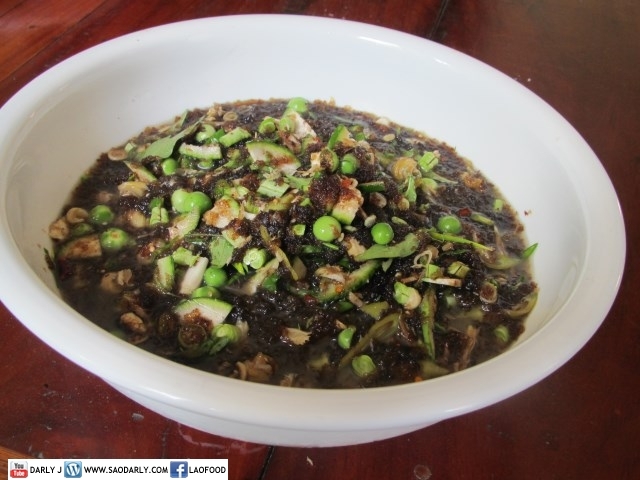 The cooking process of this dish is like making Larb Thao, which is a bit time consuming but worth the effort in the end. I can barely remember my father making this when a relative came to live with us for three months. That uncle brought fruits, dried deer meat, dried buffalo skins, dried fish, and other items as gifts for us.